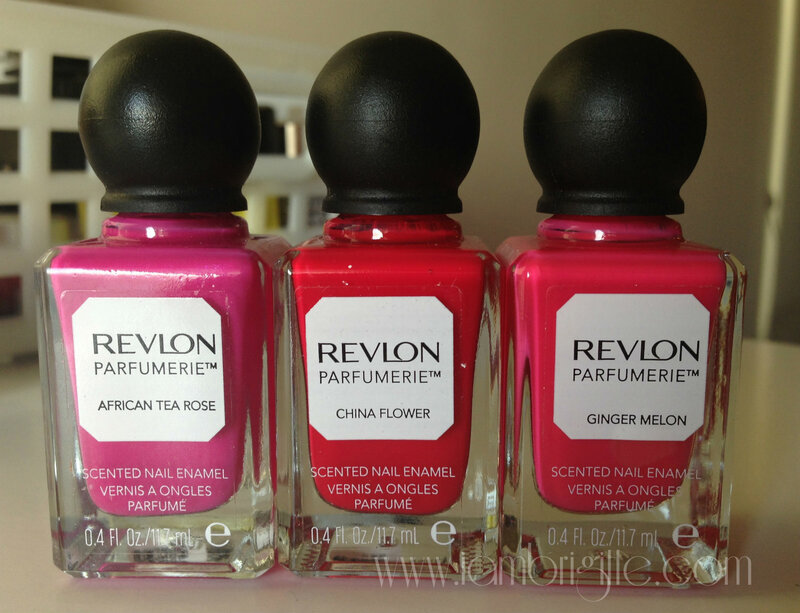 I first saw these scented nail polishes from Revlon when I was in the Philippines last summer and I was like, "What's up with scented nail polishes?" I didn't really bother checking them out so I don't have an idea if they are priced higher than the usual nail polish. If I did and found out that they are pricier, then maybe I'd be disappointed. And will probably ask, "Why pay more for such nail polish with a scent that will go away in a few hours?" Maybe I'd even say it's a total non-sense. Then months ago, I was given a chance to check them out and it totally changed my opinion. I got to look at them closely and 'twas not really their scents that made me realize they are worth trying out, but their colours and their staying power. I've tried one shade and it did stay chip-free for days! I think it took 5 days before it started to chip and remained presentable for a few more days before I finally realized I need a polish change. The scent is of course something worth mentioning too. It smells like a usual nail polish when you sniff on it from the bottle but once it dries on your nails, the scent is revealed. And what's even more amazing is that even with a top coat, the scent is still there! I don't find the scent overpowering and you can only really smell it if you have your hands near your face. The staying power of the scent? 2-3 days. Not bad, huh!? 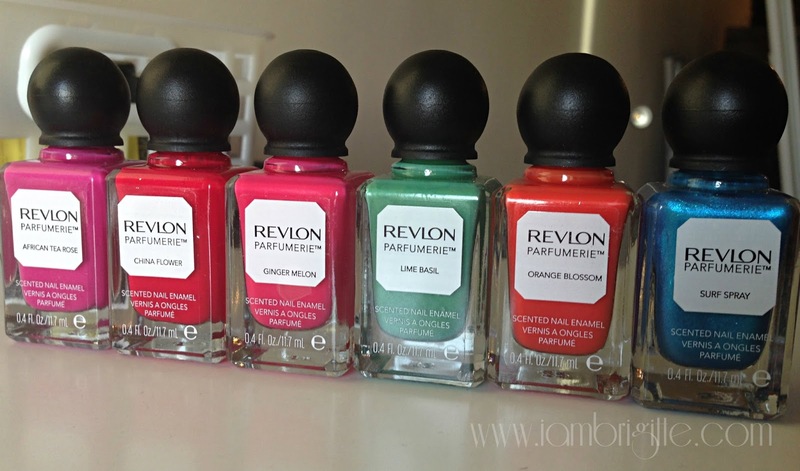 Weeks ago, I received a gift from our friends in Revlon ME and Havas PR (Thanks so much!) and included in the package are 7 shades of their scented nail polishes. Weee, it really got me so excited! 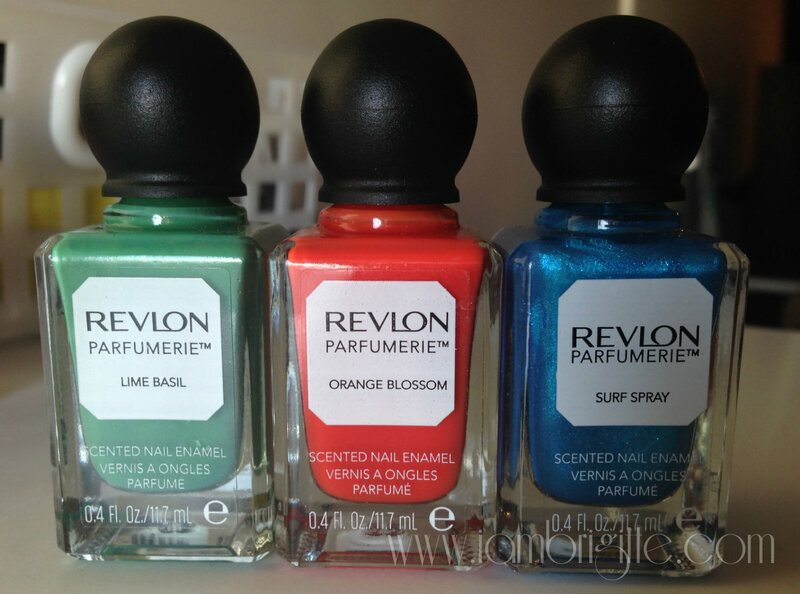 They also sent me other nail polishes but I'll talk about them in a separate post. Tee-hee! I also have Bordeaux, but I forgot to include it in the photo-op! 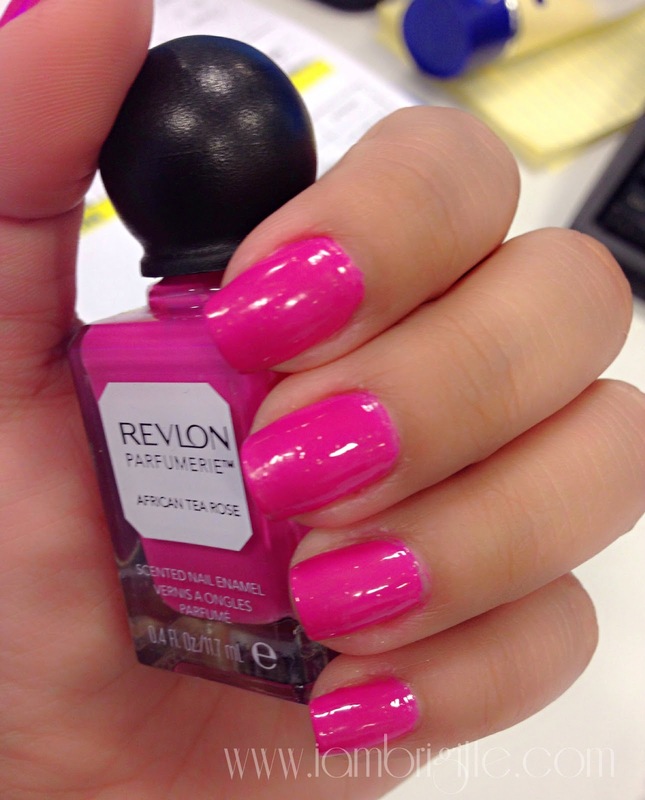 A bright, cool-toned pink with a true rose scent. It's not visible in this photo but it also has tiny purple glitters. I love pinks but I don't think this shade is for me. I think it made my hands appear darker. One of my favourites. 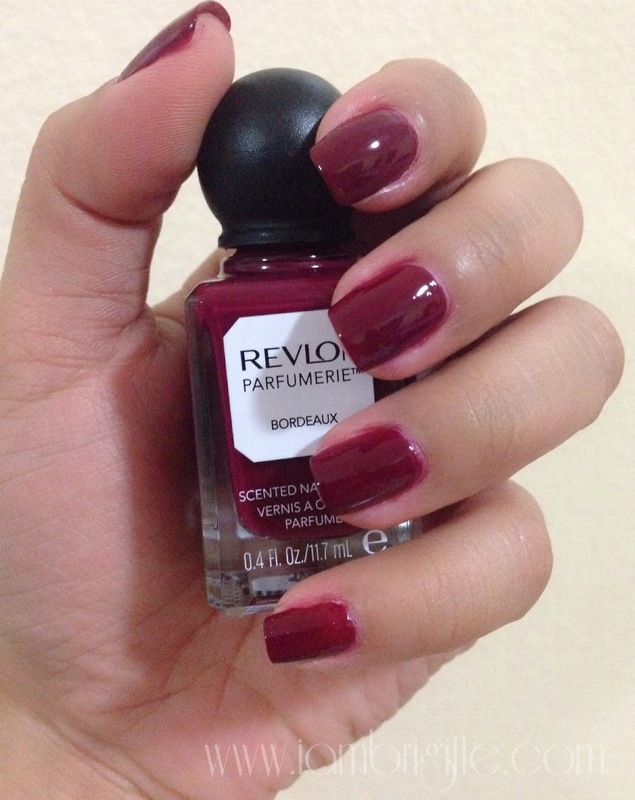 For me, it's the perfect seductive deep red. It makes my hands appear whiter too! I am not a wine drinker but I am 100% sure that this baby smells like fruity red wine! It applies like a dream and full opacity can be achieved in just two coats. I've worn this thrice already since I got it. And I think I'm going to get a back up of this one. 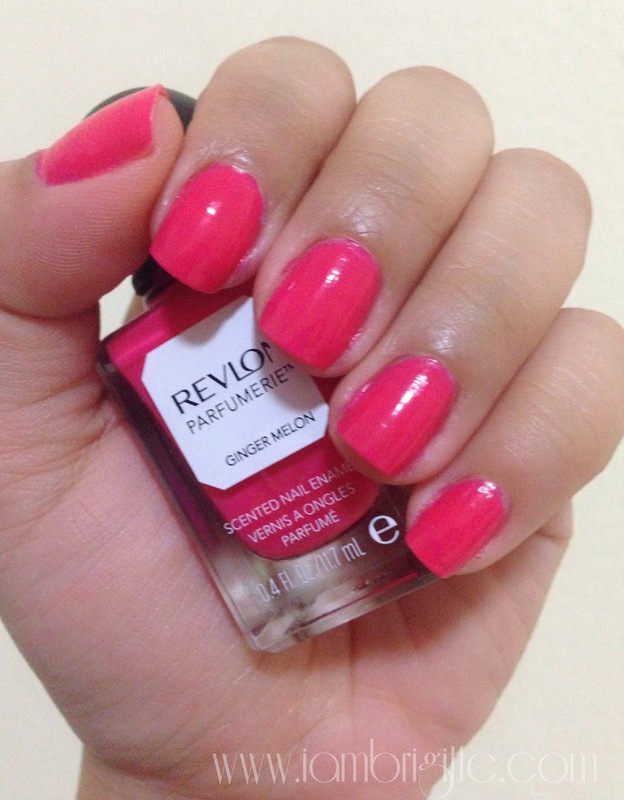 Another favourite and this is the shade I tried during the Revlon event. 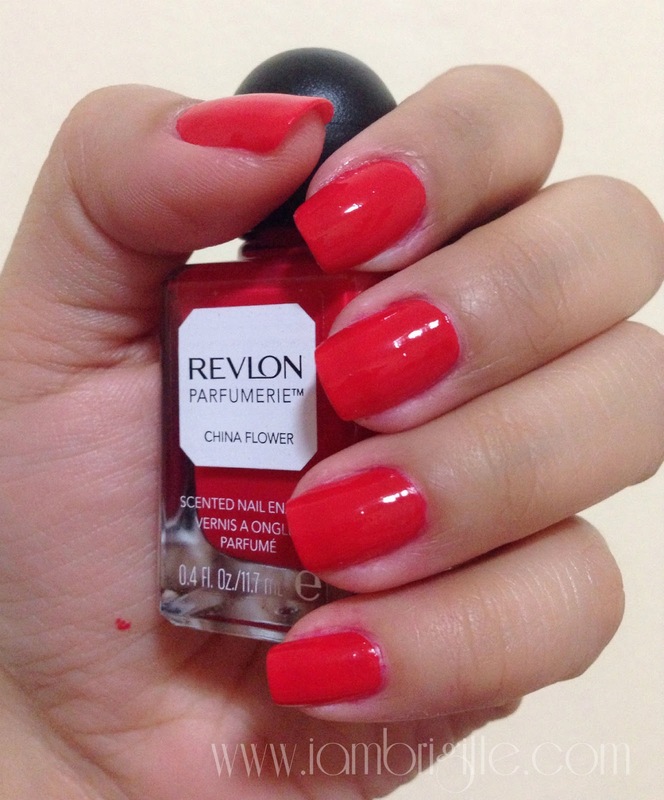 This is a pretty bright, coral red and gives an opaque finish in just one coat. I also like that this one doesn't even need a top coat, as it's already shiny by itself. The scent is floral, but slightly pepper-y. This is a bright, coral pink which looks slightly neon on my hands. Hehhee. It's beautiful but I hate that it took me more than 2 coats to give it a full opacity. This one though has a strong fruity scent. Strong, but still not overpowering. I didn't think so at first but this shade is another favourite! It reminds me of the bubble gum called chiclets. Hahaha! 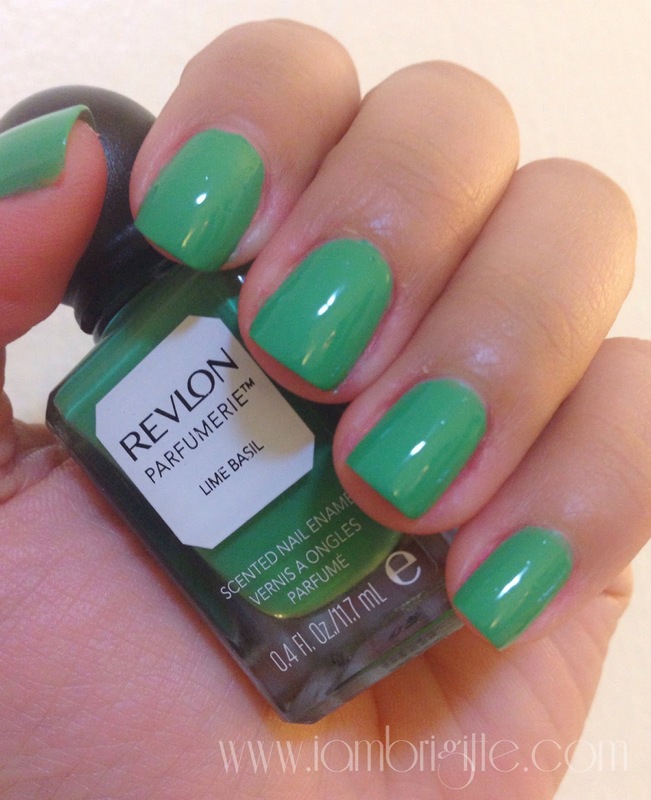 It's a spring-y shade of green with a citrus-y scent. Full opacity can be attained in two coats, and since it's already shiny by itself, no need for a top coat too! But this shade left stains on my nails. Sniff! I tried removing them with acetone but to no avail. I had to get a manicure to get the top-most layer removed. Next time, I'll use a nail polish primer first. If there's one that I didn't really like, it will be this one. 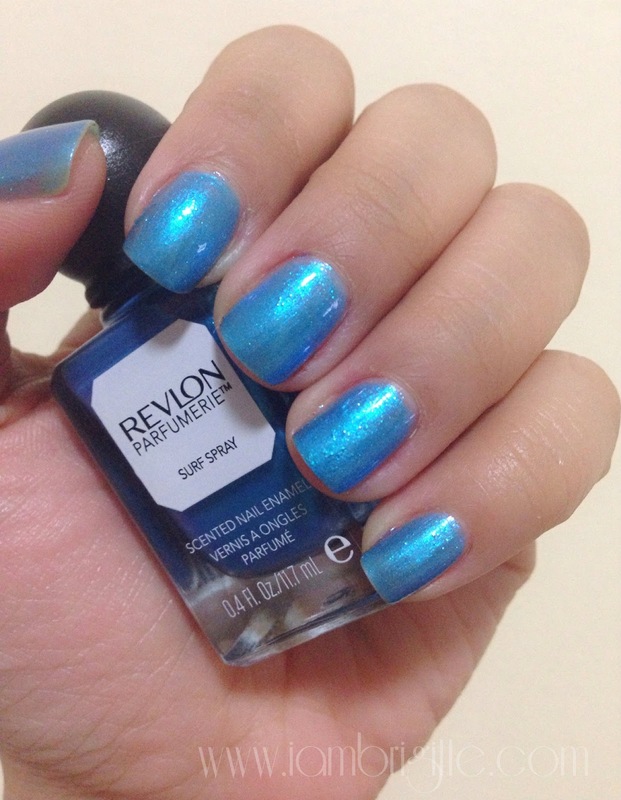 Don't get me wrong, I like blues on my tips but not this kind of blue. It's too metallic for my taste and I think I had to apply 4 coats because I find it too watery and sheer. My nails above have 4 coats (or more) but it still looks sheer. The fresh, soapy scent is nice though. I think this is the first time I wore an orange shade of nail polish and I wasn't disappointed. 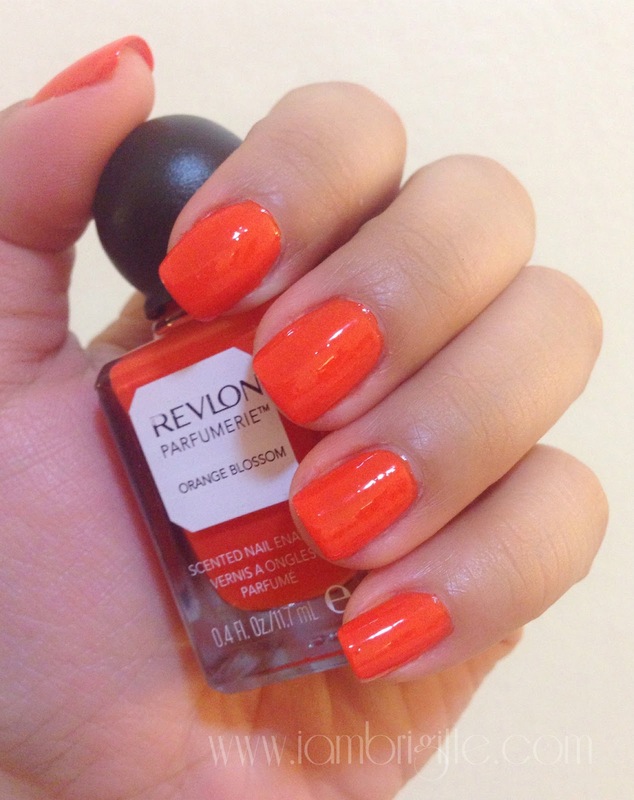 I love its summer-y shade of orange which didn't make my hands look darker. It has a spicy, citrus-y scent. I find that most of these nail polishes have a jelly-creme formulation, making them easy to apply. Also, despite having scented oils in them they dry fast too! The packaging reminds me of vintage perfume bottles. They are so cute so I don't think I'd be throwing them away once they get emptied. Hehe! Despite having a round cap, I don't find them hard to use. If you do, I'm pretty sure it will just take a little getting used to. As for the price, I think it's less than 40AED a pop. Not bad, considering you'd be getting a collection-worthy bottle of an amazingly pigmented (well, mostly!) nail polish with a scent.